For starters, Christians should be good citizens. That statement is too general to mean much on its own, so it needs a little unpacking. As we saw in the previous post looking at Romans 13, being a good citizen will mean paying your taxes willingly and honestly. We’ll abide by the law, not just because we don’t want to get punished, but because our conscience tells us that if God has placed an authority over us, we do well to obey that authority. For example, to break the speed limit is not just to violate an arbitrary rule that has been unfairly placed over us. It is to reject a legitimate, God-given authority over us. So we should avoid breaking the speed limit because we don’t like speeding fines, AND because our conscience tells us to obey. Speeding on a deserted road late at night is no better than speeding with a police car behind you. To consciously disobey our governments is, in most cases, to reject God’s authority. As we live as strangers and exiles in the world today (eg: 1 Peter), we too are to seek the prosperity of the earthly cities in which we find ourselves. We find our own prosperity in its prosperity. We should pray for it, working for its good and for its betterment – alongside the government as it also seeks these things. It doesn’t mean we will always acquiesce and agree with whatever our governments say. Sometimes, it means we will agitate for change. Because God has spoken to us, even the youngest Christian can know what is best for a society in ways that the most experienced non-Christian politician can never know. But we should only agitate for change in ways that will genuinely be for the improvement of our society. Christians are to be good citizens. However, while there is much more to say about what it means to be good citizens (some of which we’ll look at under ‘How to Vote’ in a later post), there will always be serious limitations on the way we relate to our governments. Yes, the default position is to submit to our governing authorities, so any change from that position will require us to know the Scriptures and think long and hard before taking that step. But our earthly governments never command our ultimate allegiance. That belongs to God alone. While it may be a long way off in some situations, within Christianity there has to be a place for civil disobedience. In our context the first steps will be to legally and respectfully disagree through avenues such as contacting local members, attending public meetings or simply using our vote judiciously. But beyond that, when a sin is affirmed by a government, when a government tells us to do something forbidden by God’s word – OR when a government forbids us from doing something commanded by God’s word – Christians must follow God, not the government. We must obey God regardless of the consequences. For many early Christians, this meant death. Some day, in the not-too-distant future, who knows what it may mean for us (given, for example, the push towards ‘religious tolerance’ in our society, moving in the direction of making some forms of evangelism illegal)? 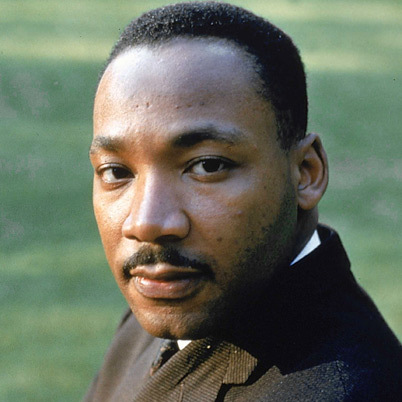 We should prepare ourselves for the reality that there is a time and a place for standing against our government – for example, in peaceful protest, and perhaps in a willingness to go to jail, as Martin Luther King, Jr. did less than 50 years ago in America. We must always remember that governments are not infallible. For all their genuine and God-given power, they make mistakes – sometimes serious ones. Truth is NOT democratically decided. Truth is decided by the God who made us. Just because something is legal does not mean it is right. I also say this (as something of an aside to church leaders) because we mustn’t let a worldly view of democracy infiltrate our churches. I’m not against AGMs or other similar meetings, but Christian churches are not necessarily to be run as democracies. Again, it may be helpful and wise to use voting as a way of governance – but we are all fallible. Just because the majority of people in a church think something is right does not make it right. Voting – whether in a secular society OR in a church – can actually just be a pooling of ignorance. Leaders bear a responsibility to set the direction for a church and to take the lead on matters of right and wrong. We all bear responsibility to stand up for the truth and do what is right, rather than just what is popular. Much more importantly than that, there is only one person in charge of our church – and it’s not the ‘senior pastor’. It’s Jesus! The risen Jesus has all authority in heaven and on earth, and he rules his church by his word. And when the air we breathe tells us that democracy is the ultimate system of government, this is something we need to remember. Beyond this, interacting with our governments will look very different in each situation. For those of us who find ourselves living under non-democratically elected governments (perhaps even oppressive regimes), our best way forward may be to simply speak the truth and bear up under whatever persecution follows, following the example of Jesus (as 1 Peter 2 instructs us to do). For those of us living in western democracies, it may involve writing letters, protesting, running for office ourselves, or engaging in public debate. So what issues will we engage over, and how will we go about doing that? We need to remember that on many issues there is no obvious ‘Christian’ position. For example, are trade unions good or bad? Is the GST a good idea? Is the exploration of space something worth pursuing? The gospel gives an enormous amount of freedom for us as Christians in all kinds of areas, including the formation of political convictions. As the Bible shapes our minds, and as we take every thought captive to Christ (2 Cor 10:5), so we should expect our views to change – rather than using ‘Christian freedom’ as our ‘get-out-of-jail-free card’. But in many areas we do have this freedom, and we need to ensure that we don’t turn areas of Christian freedom into tests of genuine faith or orthodoxy. But what about those issues where Christians should agree, as the Bible clearly directs them to a particular position? In these areas, we need to understand the difference between gospel absolutes, and different opinions about tactics. That is, what are the non-negotiables that the gospel requires us to oppose or affirm – and what are the issues of wisdom and freedom on how best to achieve those aims? Christians can differ on the latter, but we should not differ on the former. For example, almost all Christians would agree that we are to be good stewards of God’s creation. But is a carbon tax the wisest and most useful way to ensure that we do that? We are to love our neighbour, but are unfettered free markets and deregulation the best ways for a society to do that? We are not to murder, and we are to respect and protect the life of every person made in God’s image – but would tighter gun control be a helpful step to that end? According to this passage, the role of secular government is certainly not to promote the gospel itself. But we should long for governments to lead their nations in such a way that God’s people can get on with their core business, unhindered: to live lives of peace and godliness, and to proclaim the news of God our Saviour, so that people are saved. But what does this passage tell us about how to interact with our governments? The focus here is all on prayer. Knowing God’s desire for governments, we are to pray that this comes about. This is probably the most distinctive Christian contribution to the political process. We can vote, act, speak out and protest in much the same way as our non-Christian neighbours. But we can do something they can never do: Pray to the God of the universe. Your most important contribution to the political process happens not when you step into the ballot box, or when you write a letter to your MP, or when you take part in a peaceful protest march. It happens on your knees.